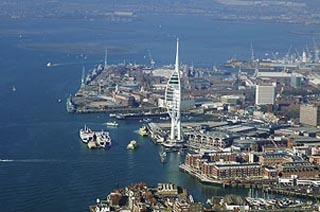 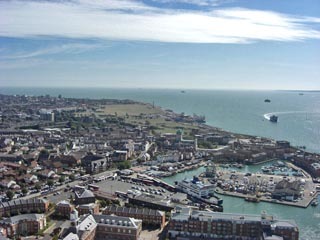 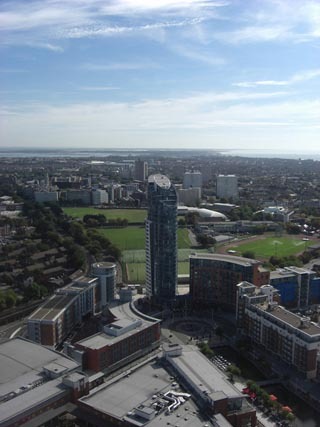 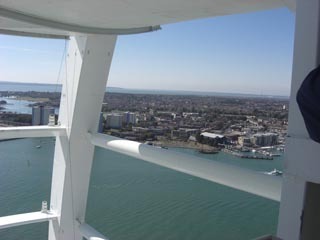 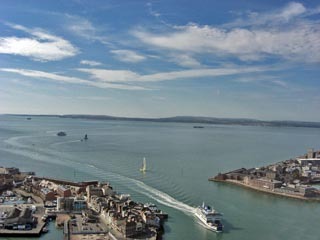 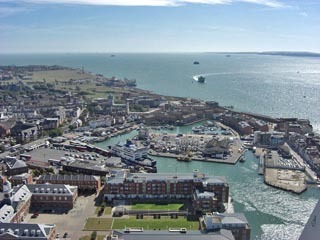 On this page we have collected some unusual views from the Spinnaker Tower. 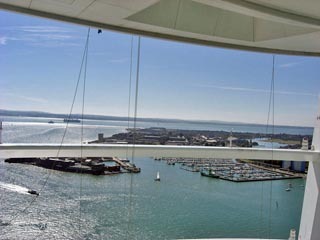 Standing at 170 metres high, the Spinnaker Tower provides some fantastic views of Portsmouth Harbour, the City of Portsmouth, its neighbour Gosport and across The Solent to the Isle of Wight. 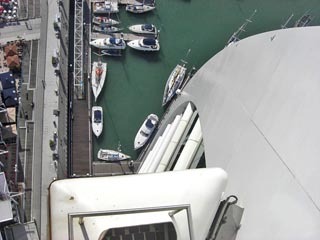 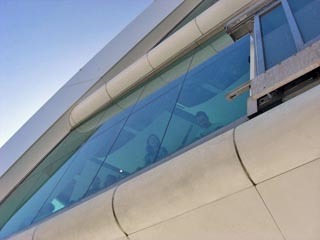 On deck 1 of the Spinnaker Tower you can walk across the glass floor looking down to the ground 100m below. 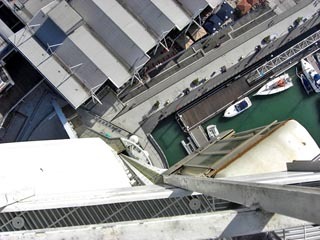 The glass floor is believed to be the largest in Europe, with an area of 7.79m² the glass is 60mm thick so that it can safely carry your weight, if you dare! 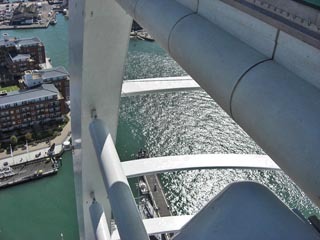 In strong winds the top of the tower can move sideways by up to 150mm (approximately 6 inches), but don't panic, this is normal in tall buildings and is factored into the original achitectural design considerations.